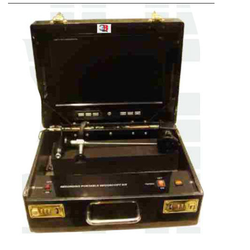 Pioneers in the industry, we offer portable endoscopy kit from India. Under the strict supervision of our experienced professionals, we are offering an innovative collection of Portable Endoscopy Kit. Our offered kit is available in a variety of sizes, dimensions and other such specifications to choose from. The offered kit is precisely designed at our highly advanced manufacturing unit following industry defined guidelines. The offered kit can also be availed from us at the industry leading prices. Innovative Led Light Source to connect to Endoscope. Has inbuilt Lock system for locking the Kit. Has inbuilt monitor of 11 inches.